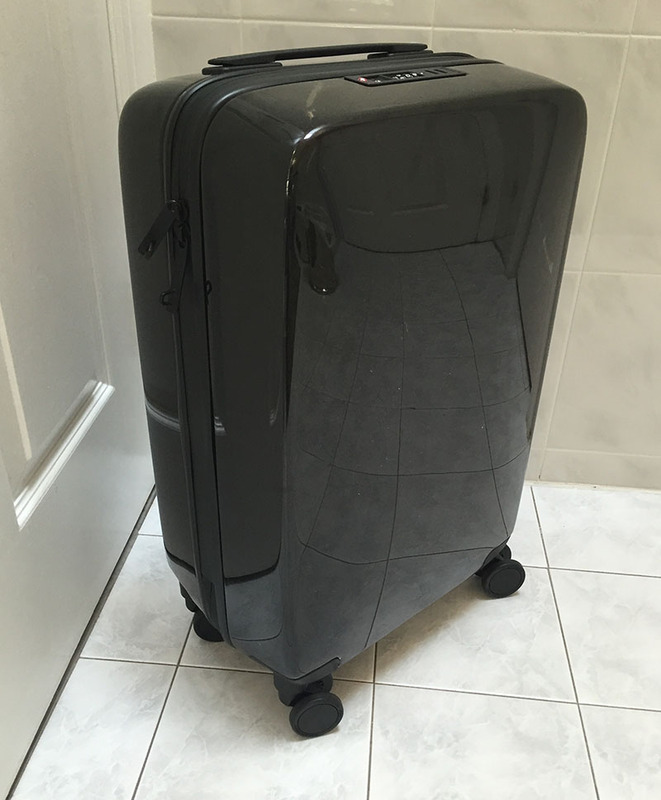 Raden A22 Carry On Review: Is This The Best Smart Luggage You Can Buy? Raden’s A Series line offers two sizes, the A28 check and the A22 carry, and is the most recent addition to the world of technologically equipped “smart luggage.” With VC money in the bank, I fully expect that you will be seeing more and more from this company over the next year. While I previously had the opportunity to check out the A28 check bag, recently I was able to try out the A22 carry, also in the black gloss version (see how Raden compares HERE). I had a good experience with the Raden carry on, but there are definitely some things you need to know before you make a potential purchase. You get some really cool tech features, but that comes with the tradeoff of slightly less packing space. Read on for my full Raden carry-on review. The Raden A22 is extremely lightweight, and just like the A28, very eye-catching and chic. I will note that this time around, I noticed that the black gloss version has a tendency to scuff somewhat easily. I’m sure this will be fine in a carpeted airport, but once you’re out of the airport and wheeling it along a sidewalk (as I was, before accidentally dropped the suitcase), you might want to be extra cautious. I am curious to try out the other colors (particularly the black matte) to see if something similar would happen. 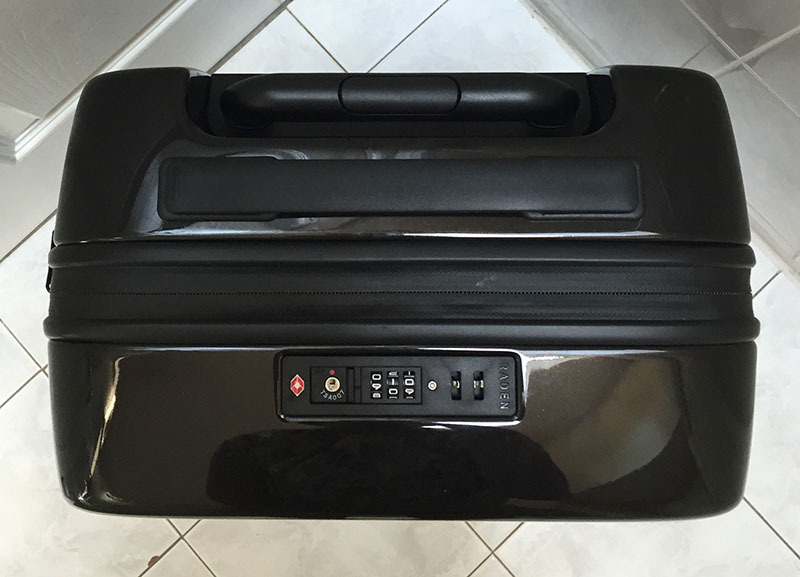 The suitcase on its own is incredibly lightweight, and the four wheels, just like in the check bag, glide more smoothly than many other suitcases I’ve reviewed. From carpet to sidewalk, dragging the bag with me was very easy. The inner compartments are sleekly designed, with separate zippered compartments, and in my opinion provide a fair amount of space for a carry-on sized bag. 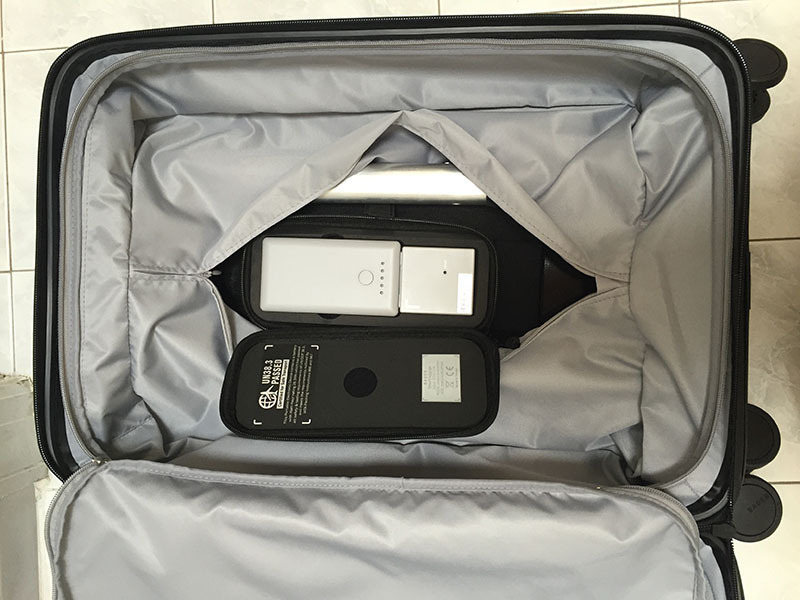 As in the check bag, the battery pack is in its own zippered case and requires charging – you can either charge the battery itself directly or charge through the USB ports located near the handle. 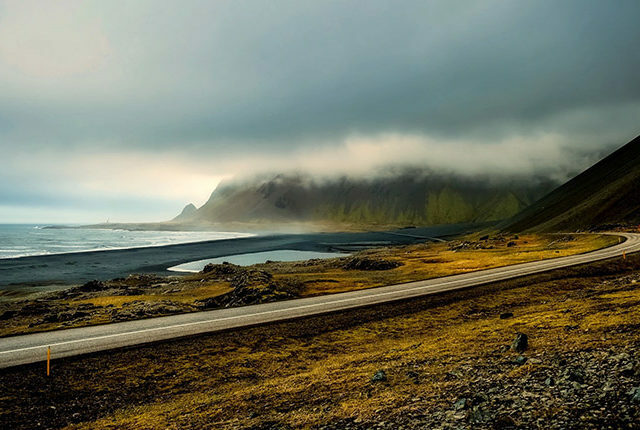 Once charged, I paired the carry-on with ease, as I had previously downloaded the Raden app. The app is very easy to use, and offers a chat feature for any troubleshooting. My “home” airport was in the app from the last time I paired the check bag, so real time traffic and weather reports appear as soon I open the app. 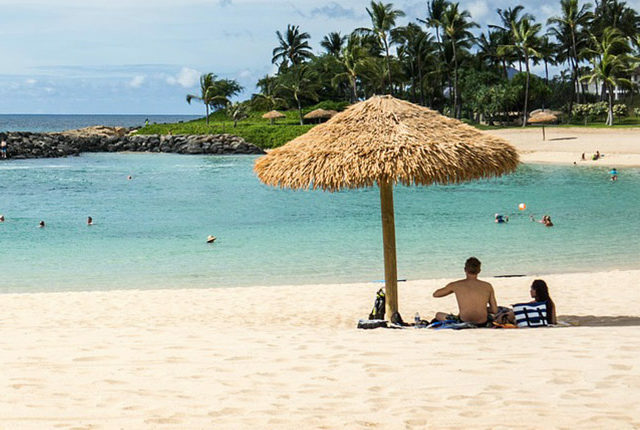 As with the check bag, other features include using the weight sensor in the handle to determine the weight of your luggage through the app, and a Bluetooth radio in the suitcase, which tells you if you’ve lost your luggage or left it behind. One of two concerns I have is that I found the black gloss finish to scuff a bit when I accidentally dropped the suitcase on a New York City sidewalk. This is just something to bear in mind for those who use public transportation after reaching and leaving your destination airport, as opposed to a car service or taxi. However, I was able to easily remove the scuffs with rubbing alcohol and a cloth. I noticed a few scratches, but the reality is it’s luggage and that will happen. I was informed that the cases have a laminate coating and a special resin in the plastic that minimizes the impact of scratching. The other thing to note is that the bag is priced at $295. The Raden A22 is more than the average carry-on, but for a product of this quality (that compares to the likes of Tumi and Rimowa in many ways), the value is actually quite significant. 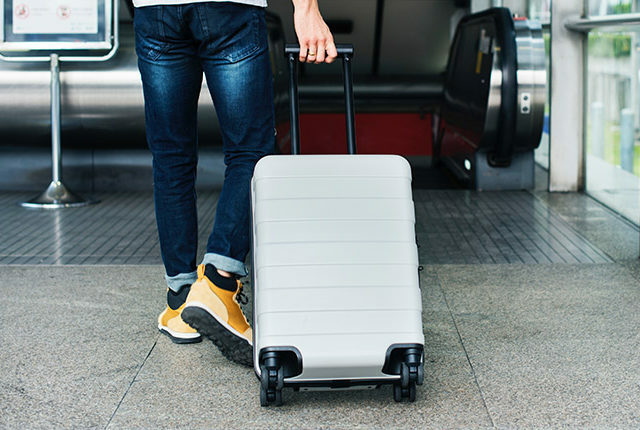 The suitcase itself is lightweight (and an approved carry-on size) yet offers a great deal of room for your belongings, and the companion app has useful features that are bound to make travel less stressful, such as being able to see the TSA wait times at your destination airport or call an Uber to get you to the airport. 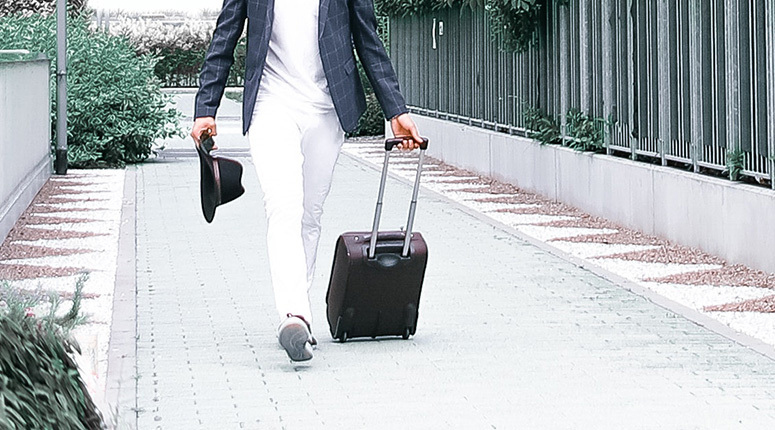 Raden’s founders took a cue from what startups like Warby Parker did for eyewear (selling direct to consumer), and focused their energies on technologically innovating luggage. After two years of research and design input, including conceptualization by designers from Beats by Dre, Raden released the A-series line. Its features include a removable compact battery, with two ports accessible from the outside of the case, and a companion app to utilize all of its features. 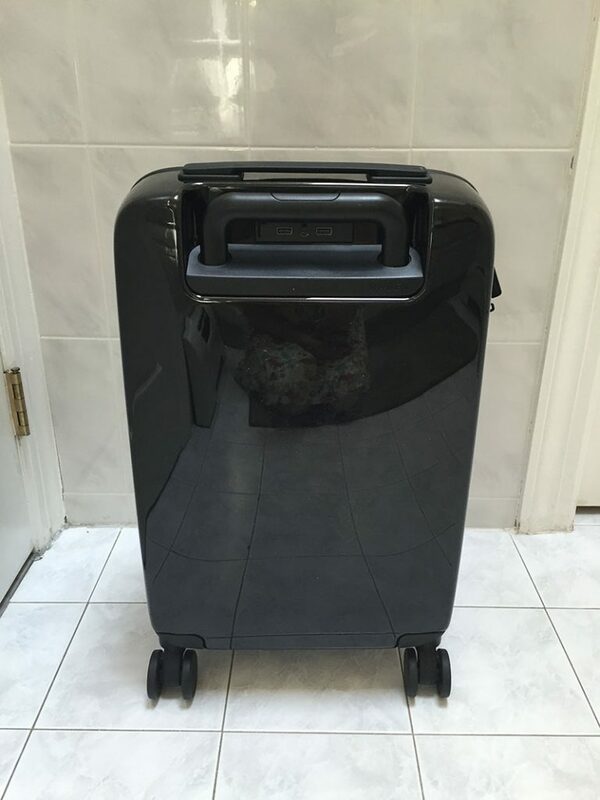 Raden A22 carry-on is a very stylish and great functioning smart suitcases, it is definitely amongst my favorite smart carry on options. Light weight and well designed, the only real drawback is that it will scuff a bit during normal use, though you can easily buff the scuff out if it bothers you. Raden’s A22 carry-on is chic, lightweight yet durable, and provides a great deal of space for a carry-on. 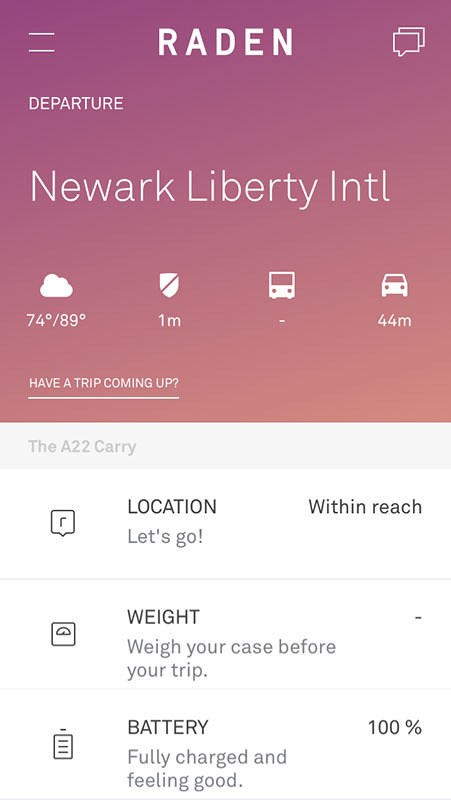 The Raden companion app is easy to get the hang of and features are unparalleled (more extensive than the Away carry on), with location and weight sensors, and practical features such as being able to call an Uber or see the traffic time to your destination airport. At $295 the A22 may be pricey for some, but frequent travelers should consider that the features provided by the A22 are not ones you will encounter in your run of the mill backpack or duffel bag carry-on. “I noticed a few scratches, but the reality is it’s luggage and that will happen.” Did you look on the underbelly of the Raden – the side without the shell? My fiance and I received Raden luggage for our couples shower. 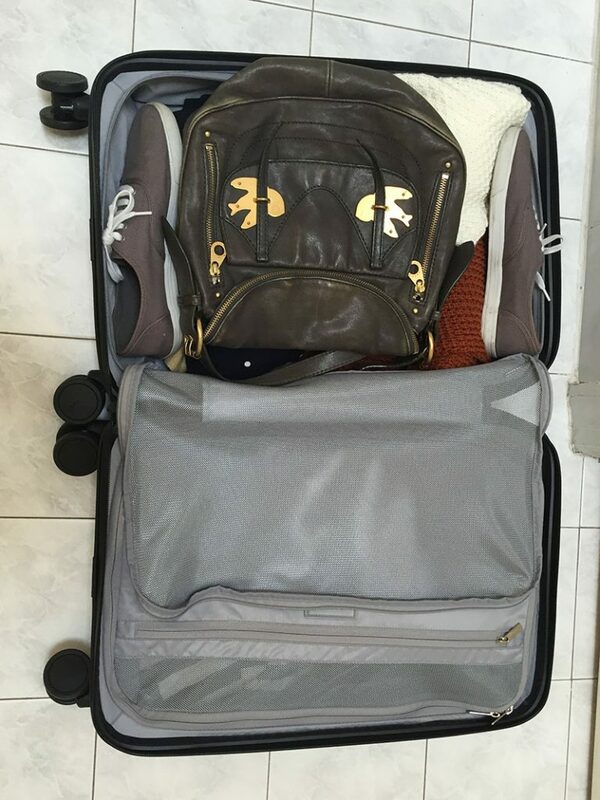 The next week my fiance took the Raden carry on to her client meeting in Chicago. After deboarding the plane she noticed the bottom of the suit case was completely scratched all over. 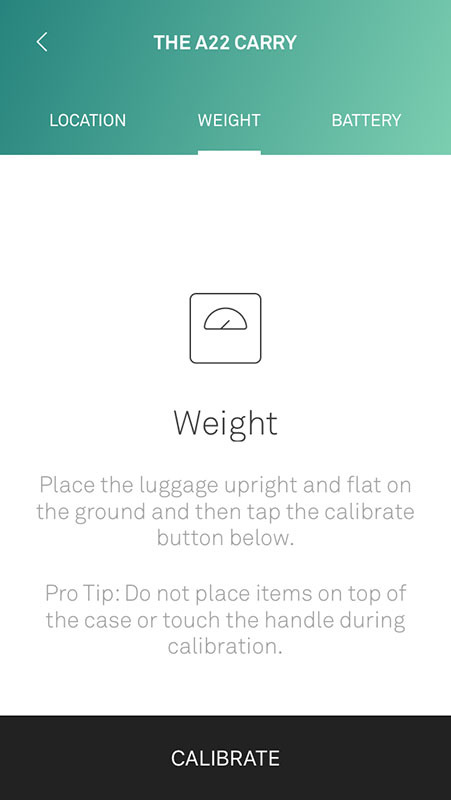 Yes, this luggage has great features an app etc. But who wants to buy a piece of luggage that scratches from an overhead bin on first use?! Hello Husna! To better determine the packing capability of this bag, I’m wondering what configuration of packing cubes that will fit inside the main section? For example, 2 standard MEDIUMS (13.75 x 9.75 x 3) side by side? Or 1 standard LARGE (17.5 x 12.75 x 3.25) + a1 SMALL (11 x 6.75 x 3) side by side? If this info is not readily available, can you PLEASE provide the dimensions of the interior main section, and the zipped mesh section, so consumers can figure out what configuration of packing cubes will work in this A22 size carry-on bag? Many thanks for your thorough and very helpful review! 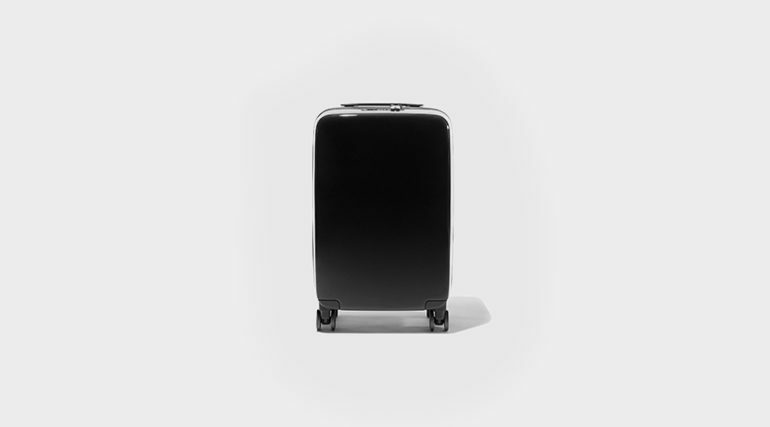 Interested in Purchasing a Raden Smart Luggage?